Our annual winter event is our biggest celebration of the year! Come out and enjoy an evening filled with friends, food, and art. Meet the artists that make BKMW the exciting community it is and peruse the jewelry and artwork that is made here. The trunk show will have jewelry perfect for gift giving this holiday season, or a well deserved gift for yourself. 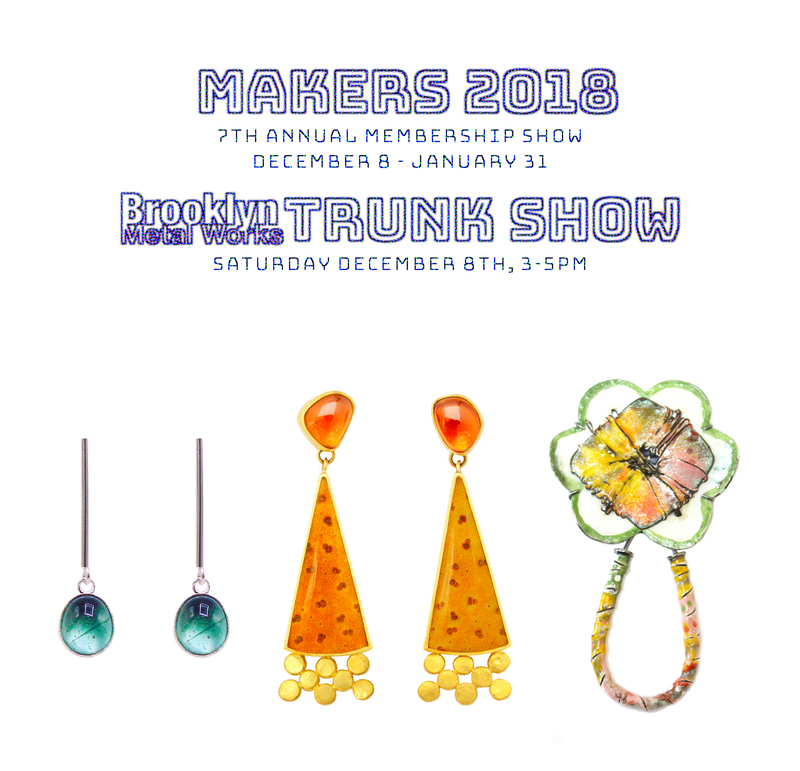 BKMW Trunk show is a one day event. MAKERS 2018 will be on view through January 31.